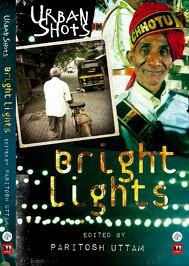 In a melodramatic life, what strikes like a ‘bright light’; some define it as hope while others will tell you its festive but selected few who could narrate a story went into the book of ‘Urban Shots’. Collection of 29 stories by 21 authors and edited by Paritosh Uttam, it takes you on a ride from the streets of Agra to the plush houses of Jaipur. The book captures different emotions and perspectives from varied angles. You will find innocence in Amul, heart warming mother’s love in Across the Seas, funny encounter and confused couples in DoubleMixed, surprising plot at a saloon in Peacock Cut, straight forward retirement narration in P.K. Koshy’s daily routine, heavy rant of mid-life crisis in The Walland much more.